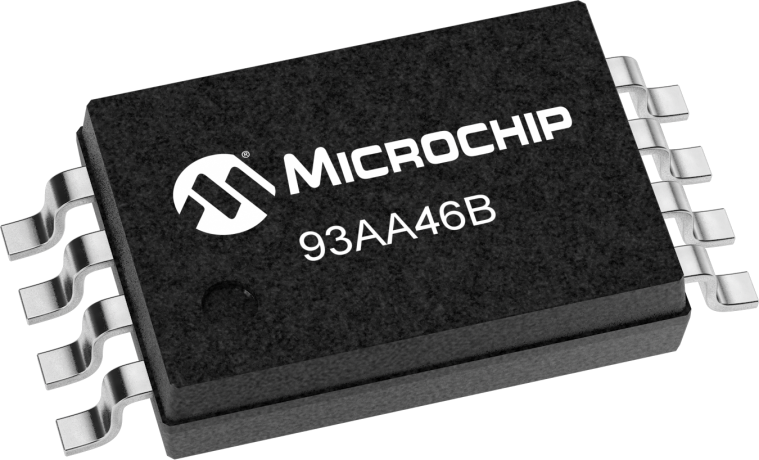 The Microchip 93AA46C device is a 1Kb Microwire (3-wire) Serial EEPROM with dedicated 16-bit memory organization and a voltage operation range of 1.8 - 5.5V. Also available are the 93AA46A for dedicated 8-bit memory organization and the 93AA46C for hardware selectable word size using the ORG pin. The 93AA46B is optimized for use in consumer, industrial, and automotive applications where reliable and dependable nonvolatile memory storage is essential. The device is available in a variety of Pb-free packages including SOT-23, PDIP, SOIC, MSOP, DFN and TSSOP.